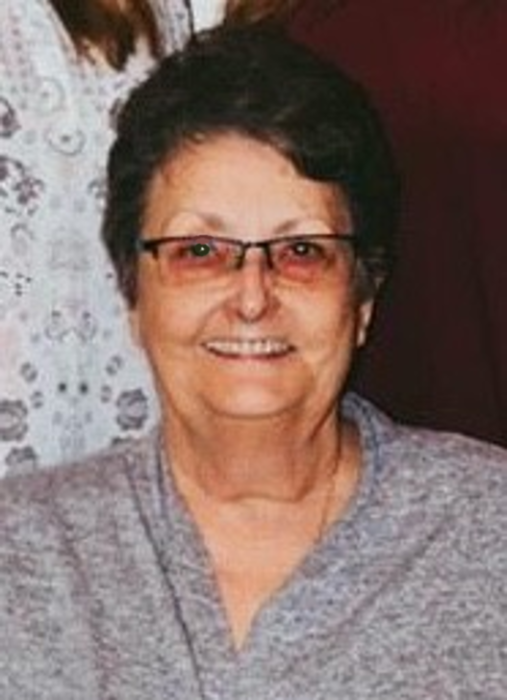 Kathy Davis Lee, 71, of Canyon passed away on April 11, 2019. Services will be at 11:00 A.M. on Thursday, April 18, 2019 at Living Water Christian Fellowship with Pastor Shane Nease officiating. Kathy was born on December 5, 1947 in Memphis, TX to Betty and Junior Davis. She graduated from Wellington High School and received her associate degree from Clarendon College. Kathy married Clifton Lee on September 16, 1989 in Amarillo. She worked as a clerk at FSA and was a member of Living Water Christian Fellowship. Kathy loved the Lord with all her heart. She adored her family, and her grandkids were her pride and joy. She had close friends that she considered family. One of her daily favorites were her Sonic Cokes. You might know her by her laugh and her smile. She enjoyed spending time with her Yorkie fur-baby, Missy. She was preceded in death by her parents and daughter, Amber Linville in September 2007. Survivors include her husband of almost 30 years, Clifton; daughters, Nicole Miller and husband Charlie of Odessa and Reagan Tuman and husband Ron of Lemoore, CA; stepson, Shane Lee of Amarillo; stepdaughter, Ami Lynn and husband Jackie of Silverton; grandchildren, Christa Freeman, Brooklyn Tuman, Chase Miller, Payton Tuman, Elizabeth Miller, Tanner Tuman, Aubrie Lynn, Jordin Lynn and Kilee Lynn; great-grandchildren, Molly and Harrison Freeman; and brother, Steve Davis of Canyon. The family suggests memorials be made to Living Water Christian Fellowship, 10100 W US Highway 60, Canyon, TX 79015.